How Safe and Secure is your Bank? Ransomware is a type of malware, or malicious software, designed with the unique intent on encrypting then blocking an owner’s access to their data or files until a specified sum of money is paid. How do I stop ransomware? 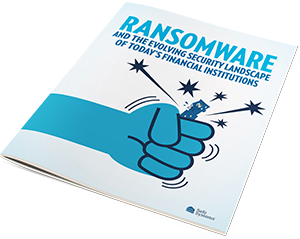 The best practice against ransomware is a combination of training and software. Training your end users to recognize potential attacks and avoid being an unwitting part of a successful breach is important. In addition to user training, installing an anti-ransomware solution will thwart attempts. Anti-ransomware recognizes and stops the malicious encryption process even before the virus is detected. By stopping the encryption of your data the criminals have nothing to hold for ransom. Safe System’s anti-ransomware solution, Scout, can stop a ransomware from encrypting the infected device, alert someone that the device is infected, and provide a thorough log of events to determine how the device was compromised. There is an annual cost per device, for this valuable protection.